unheeded by his neighbours’ vacant stares. vainly searching for the sky? I forget, but guess what? 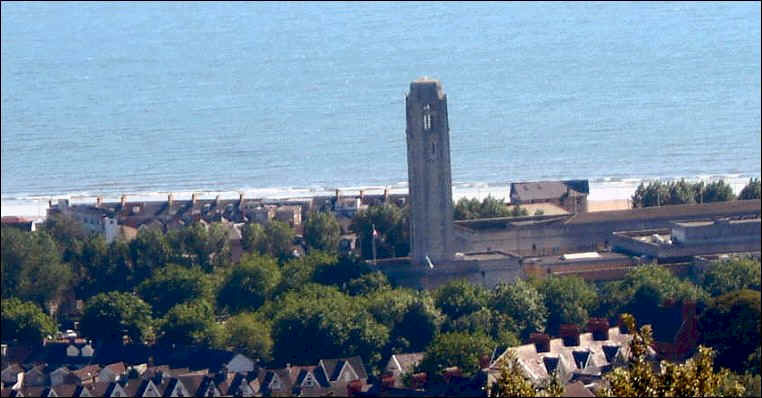 The picture shows Swansea's Guildhall tower. You might remember that in another poem I referred to the fact that Hitler had earmarked this for his regional seat of government when the Nazis successfully invaded. It's true. You can check it out. He was a really stupid man, who never realised that he didn't need to invade at all! Ouch... Nice interview, eh? YOu're better off without it, they, on the other hand, are most certainly not.